I have always dreamed of having a Tiffany & Co. jewelry when I was a little girl. 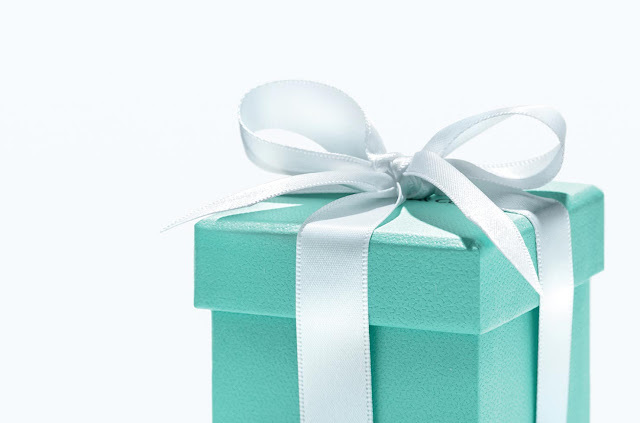 I remember falling in love with my older cousin's Tiffany bracelet and necklace with her name engraved on them, the pretty little blue boxes with dainty white ribbon. I had no idea it comes with a hefty price tag... but I told myself I'll have my own Tiffany someday. Fast forward to 2011, just before I completed my master's degree, my dad came to visit me in Taipei. I brought him to Taipei 101, and to the Tiffany & Co. store inside the mall. I told him how I would frequent the store just to admire this particular open-heart necklace from the Elsa Perreti collection. I told him I was saving money for it, but each time I got around to saving enough amount, Cebu Pacific would have a seat sale and I would use that money to book round-trip tickets to the Philippines in advance. So here's a trick I learned online to help you clean your Tiffany & Co. sterling silver. I used to spend NT$700 (Php 1800) to have them cleaned in Taipei each year. This trick costs only NT$ 100 or less than 100 pesos! 1. Line your bowl with aluminum foil. 2. Place your sterling silver jewelries on top of the foil. 3. Put in few spoonfuls of baking soda on the jewelries. 4. Pour boiling water over them. Watch slowly as the tarnished jewelries turn into shiny, silver pieces again! 5. Remove the jewelries from the water using tongs. Rinse under cool water and lay flat on a soft cloth. Wipe the pieces to remove the water and lay flat to air-dry completely. Before and after photo. They look brand new!